Enrico Stennett was born in Montego Bay, Jamaica. He arrived in Britain in September 1947 at the age of 19, on SS Windrush, although hearby hangs a tale! 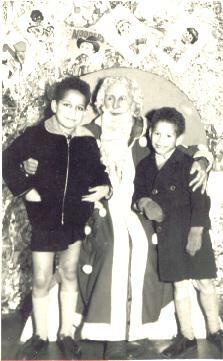 Within months he became a member of the League for Coloured People, an organisation led by the late Doctor Harold Moody; he also became a member of the Coloured Workers' Association of Great Britain and Northern Ireland, led by the late Mr Robert Victor Mathews. In 1950, with his British wife Margaret, he founded the Cosmopolitan Social Society, along with his Jewish friend Stanley Freeman. 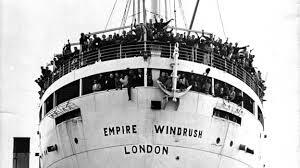 This organisation intended to cater for the social well-being of the Caribbean people who were arriving into the country at the time, and also various Caribbean ex-Army and ex-RAF personnel, who had not returned home as most did at the end of the war and were living in London. This organisation became defunct in 1952, when Enrico, along with Mr John Longmore from Sierra Leone and Mr Mubutto from Nigeria, founded the African League. As Chairman of the African League, Enrico worked with all the African leaders in their struggle for freedom in their respective countries. Mary and Enrico met and married after his first wife, and mother of his sons, passed away. 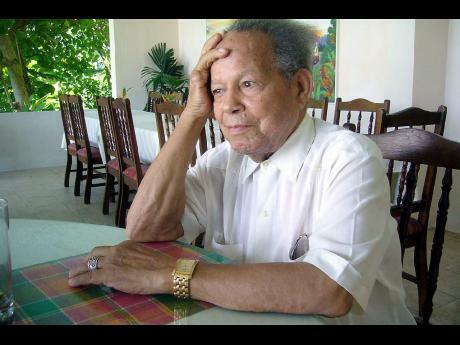 Enrio worked in London, Coventry and Wolverhampton, but when he retired they returned to Jamaica with an idea of settling there, as they had many happy memories of visits. 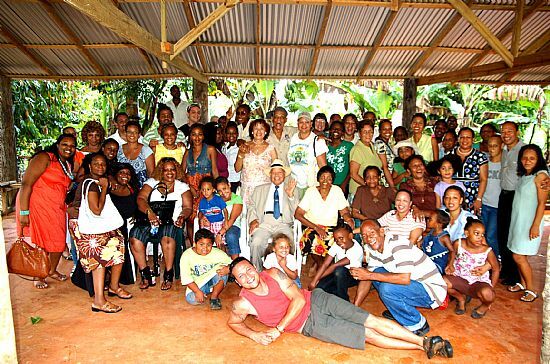 Here is Enrico with his extended family, I suspect Mary took the photo. However the reality did not work out and they returned to live in North Wales. This is the start of the story of Enrico Stennett's life. This website has been created in his memory. If you have comments to add, please contact us through the feedback form.